With the right functional coating, it is possible to prevent corrosion, erosion, wear andchemical degeneration of almost every material in almost every environment. 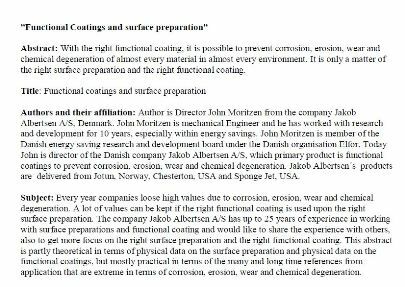 It is only a matter ofthe right surface preparation and the right functional coating. Click image above to see the entire reference.